From our early teens, we start drooling over the prospect of being behind the wheel. We tend to associate driving with adulthood and independence. But the real villain behind the urge is the movies. Has any other medium made being seen behind the wheel cooler? Here are six reasons why the movies make us want to start driving lessons. James Bond, James Dean, Steve McQueen. These are guys that personify cool, but manage to multiply it behind the wheel. 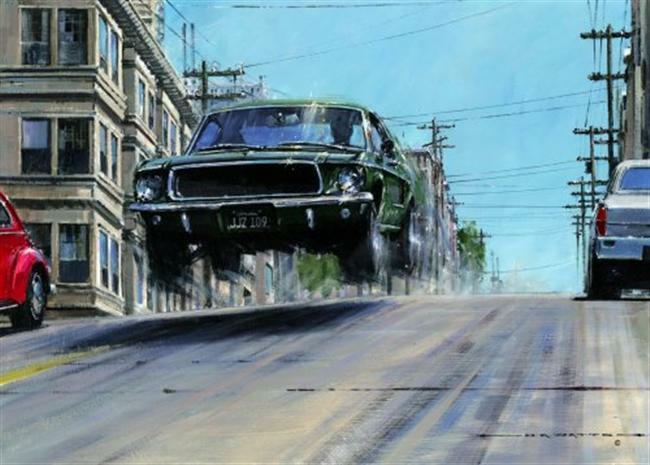 In one of the greatest car chases in movie history, McQueen shows you why so many crime dramas take place in San Francisco. Because those hills were made for racing, man. 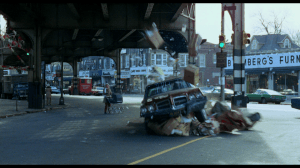 Set in New York, French Connection is the argument that ends with ‘San Fran who?’ Where else can you barrel through traffic and almost kill pedestrians while chasing an elevated train? Throughout, our hero doesn’t seem at all concerned about safety. He’s on the case! 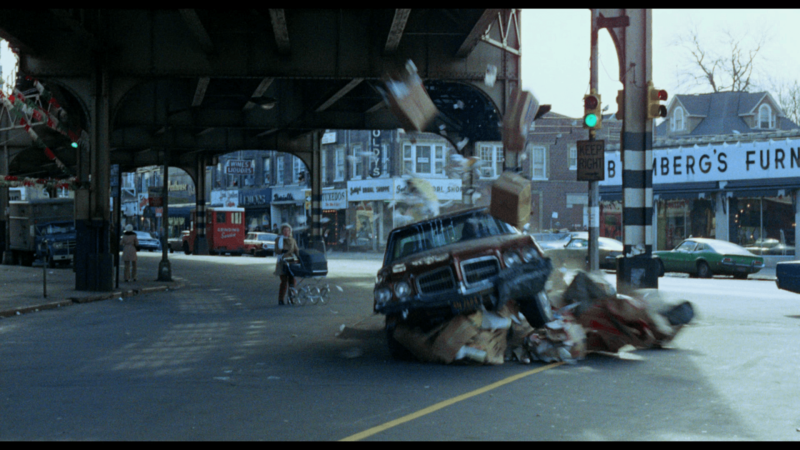 One of the most disappointing sequels ever also features one of the greatest car chases. Over 15 minutes long, it’s insane. CGI? Who cares? 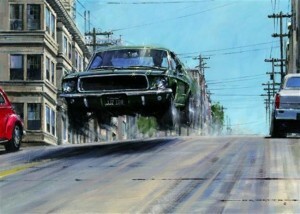 It’s still a thrill with leaping, fist fights in cars, swordfights and one wreck after another. 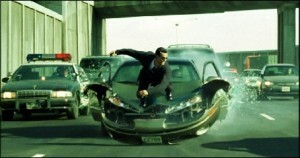 The movie that reinvented the espionage thriller doesn’t put their hero behind the wheel of a Lambo or Corvette. No, they give him a Mini Cooper. 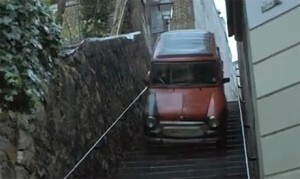 Sidewalks, stairwells, narrow alleyways, no space is off limits to Bourne’s intelligent skills. This is a movie that has no problem killing innocent bystanders. 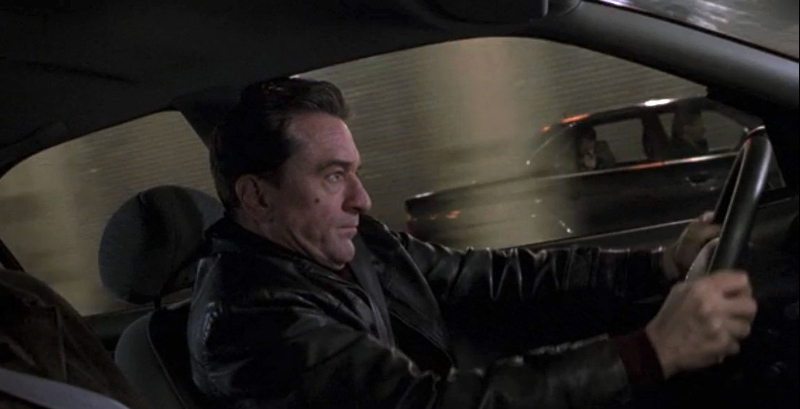 You can see the look of concern in Sam’s (Robert De Niro) eyes as he navigates. He’s determined to stay with his prey but knows it can go wrong. And amid it all, glimpse a sliver of anticipation in his eye. 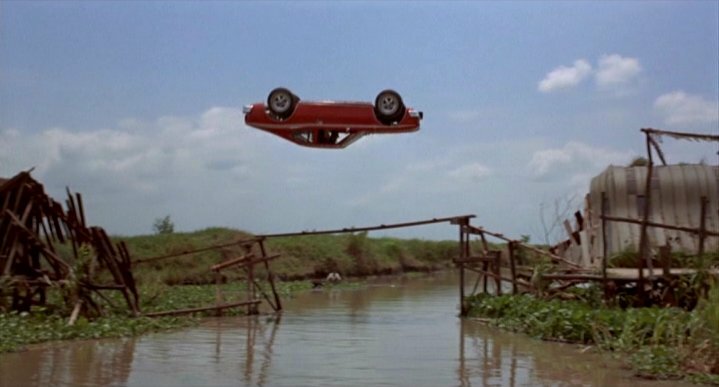 The producers killed one of the greater car stunts on film by adding a silly sound effect. But it’s pretty amazing when an AMC Hornet comes off the ramp, does a 360 across a river and lands. This was a REAL stunt. No CGI. No miniatures or wires. Crazy. 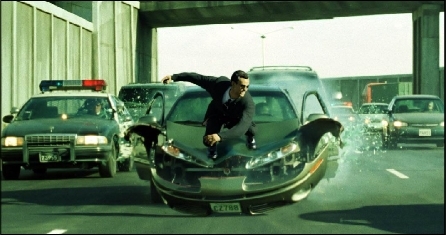 Of course, we know movie car chases are performed by stunt drivers and coordinated to the last millisecond. Still, it doesn’t stop us from wanting that moment we’re behind the wheel ourselves. From the first driving lessons to the keys for our first car, it’s a ride that never ends.